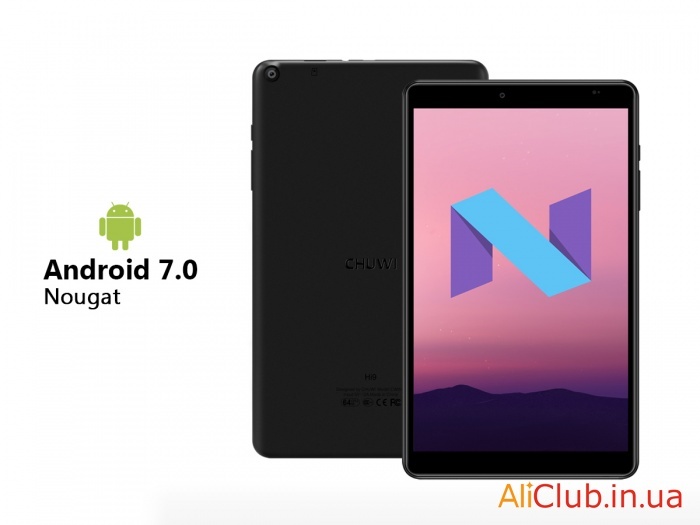 Chuwi is releasing a large assortment of tablets / laptops on Windows as well as dual OS tablets, and now the company has decided to expand the list of devices with the new Hi9 that runs on Android Nougat «out of the box». 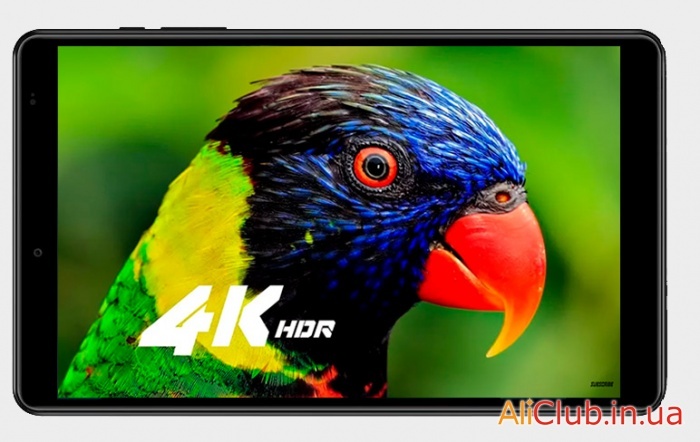 Chuwi Hi9 comes with a 8.4-inch fully laminated JDI screen with a resolution of 2530*1600 and glass 2.5 D, which has no facets that are not only ergonomic, but also looks great from an aesthetic point of view. Plus, any surface you touch with your fingers will be perfectly smooth. 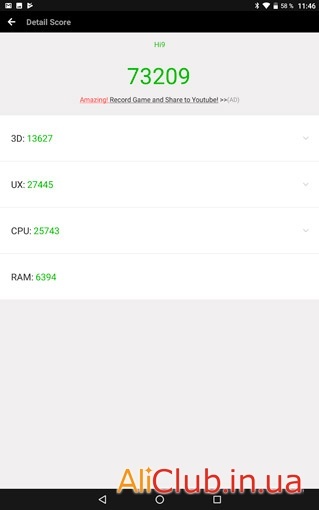 The tablet is equipped with a CPU MTK Quad Core 8173 (64-bit Quad-core processor with a frequency of 1.9 GHz in turbo mode), has a graphics chip PowerVR GX6250, and it works on all Android 7.0. As for RAM and ROM, it is equipped with 4GB lpddr3 RAM and 64GB EMMC 5.1 ROM, and also supports extension up to 128GB. In addition to excellent performance, the fully laminated 2.5 D screen with 2530x1600 resolution also makes a significant contribution to gaming performance. As for the connectors, the user is offered to use 1*Micro-USB ports, 1*TF card slot, present and 3.5 mm headphone Jack. The tablet has an impressive battery capacity of 5000 mAh. 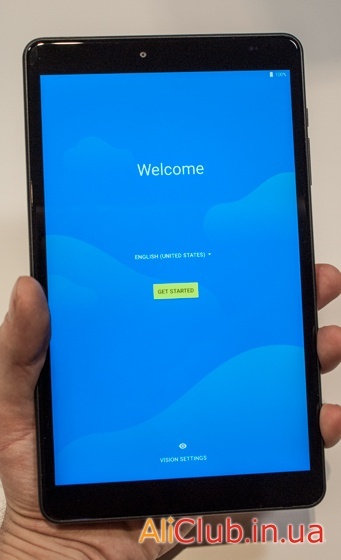 The first thing to pay attention to is that the tablet Chuwi hi9 is quite thin, which by the way and focuses its attention on the manufacturer. Swing “Volume” and “Power” do not hang and have a very clear course, a little tight, MicroUSB port (sorry that is not Type-C), headphone Jack, and memory card are on top. For heavy duty applications and benchmarks the tablet heats slightly at the top. The back surface is matte, non-slip, the tablet is quite nice to hold in hand. Divorces from fingers on the case remains, but if you hold the nail – are barely noticeable stripes. 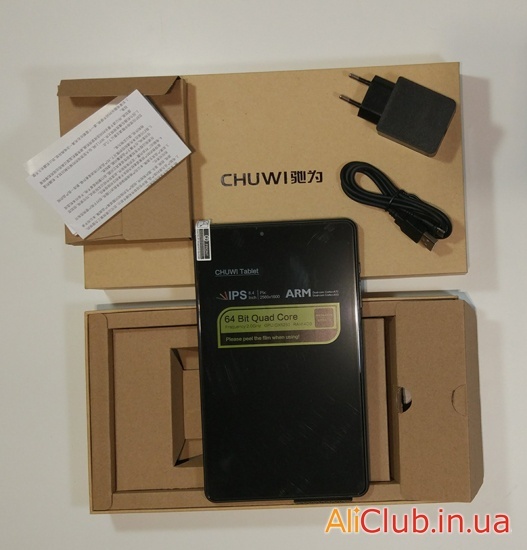 In General, tablet Assembly Chuwi Hi9 is made qualitatively, there is no feeling that you hold a cheap device, but rather on the contrary – a quality tablet. 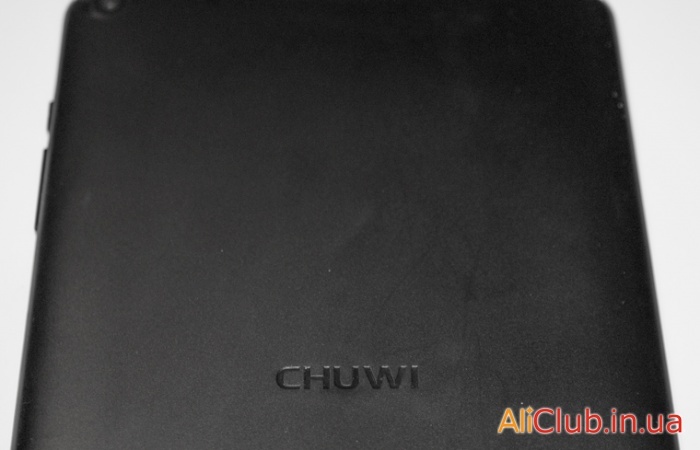 Tablet Chuwi Hi9 rather thin side frames, they are slightly wider at the base and at the top, near the front camera. The installed display matrix is made by IPS technology. This means that the quality of color reproduction, as well as the viewing angle will be at an altitude. So it is, the colors are juicy, there are no distortions if you look at the screen from the side or from above, and the level of illumination is sufficient. It is also worth mentioning that OGS technology was used in the production of the display, which is aimed at increasing color rendering, brightness and reducing energy consumption. Plus screen resolution is 2560X1600 (WQXGA), view movies and TV shows on your tablet Chuwi hi9 is a pleasure, especially if they are poured in good quality. Display Chuwi hi9 probably the most important trump of the tablet.